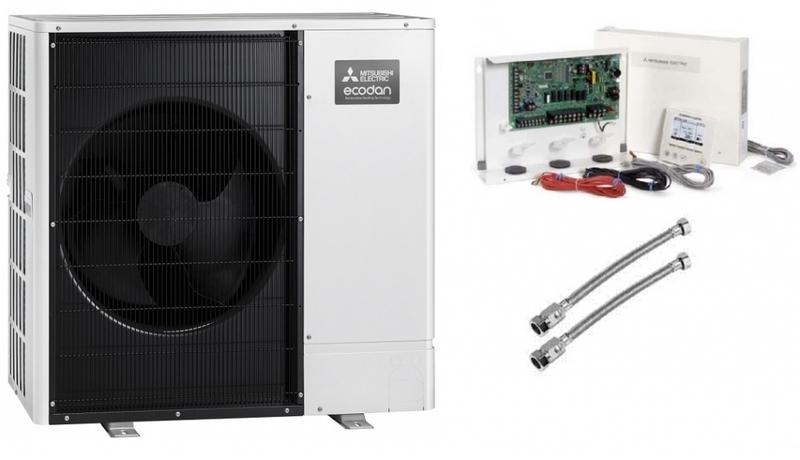 The Mitsubishi Electric Ecodan range of air to water heat pumps offer energy efficient and cost effective heating for residential properties. This model the PUHZ-W85VAA is rated at 8.5Kw heating output and will operate down to an outside air temperature of -20 °c, hence providing year round heating even in the harshest winters. These are the Ecodan monoblock models that are self-contained heat pumps and require no gas supply, flues or ventilation to operate. This model utilises new fan design technology to reduce noise levels whilst operating.